Adam Equipment's selection of premium-quality top loading and precision balances for quality control testing, manufacturing and production processes. 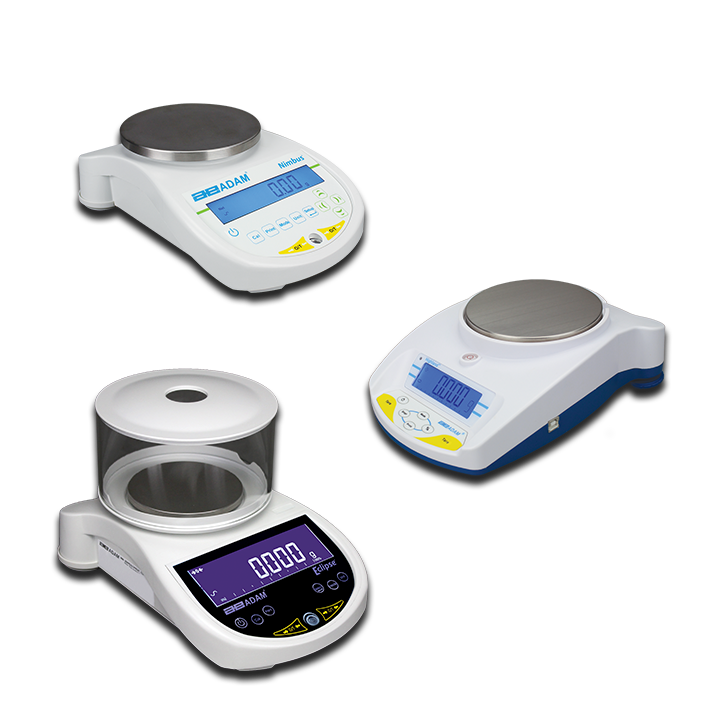 Precision balances offer high resolutions up to 0.001g and are the preferred choice for many weighing professionals due to their ease of use, practicality and scope of weighing modes. These balances are constructed using top-quality, damage-resistant materials and can efficiently perform tasks such as formulation, density determination, purity analysis, quality control, packaging and filling, and materials and conformance testing. Portable precision balances feature a compact, lightweight design and are often used for conducting field experiments where mains power is unavailable. With Adam balances, it's easy to perform high-precision weighing and achieve accurate results. We offer several precision balance variants including portable balances designed for classrooms and field experiments, and top loading balances (also called top pan balances) for materials testing applications. Many of our balances with data output and tracking capabilities to allow system integration for GLP compliance, while a select few models come complete with Adam's patented ShockProtect and Handical features for advanced overload protection and improved balance calibration. Eclipse top loading balances offer a large, solidly constructed stainless steel weighing pan and below balance weighing functionality for gravity and materials testing applications. Adam's high-performance Nimbus top loading precision balance features a large, chemical-resistant stainless steel top pan, 0.1g readability and optional pillar attachment. Ideal for laboratory materials testing applications. Eclipse precision balances come in variety of top loading and high-precision models that provide top performance scientific weighing for lab professionals. Adam's high-performance Nimbus precision balance features a variety of models ranging from 1mg to 0.1g resolutions and weight capacities up to 8.2kg. The Nimbus is ideal for science laboratories and materials testing applications.